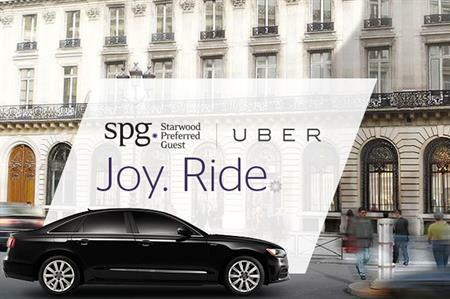 Starwood Hotels & Resorts has announced a partnership with taxi hire platform Uber that allows its SPG and SPG Pro members to earn Starpoints during Uber taxi rides. The deal is open to SPG members who link their SPG and Uber accounts and complete one qualifying stay at any Starwood hotel worldwide during the calendar year. Every member who signs up will earn one Starpoint per US dollar (65p) spent during an Uber ride. The number of Starpoints gained increases when a member travels in an Uber taxi during their stay at a Starwood hotel, and more points will be gained the higher the membership tier they are in. Adam Aron, CEO at Starwood Hotels & Resorts, said: "This new partnership with Uber accelerates our SPG members’ drive to rewards and is just one more way that Starwood is combining high tech and high touch to transform their travel experiences."